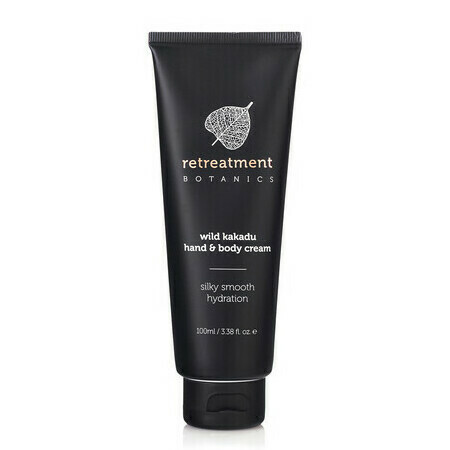 This Retreatment Botanics Wild Kakadu Hand & Body Cream is a luxurious, non-greasy, absorbent body cream that nurtures and softens all types of skin. Made with Vitamin C-rich Kakadu Plum Extract, Avocado and Macadamia Oils, and Cacao and Shea Butters, it is formulated to visibly firm and brighten as it leaves the skin feeling silky smooth and hydrated. Aloe Vera, Avocado Oil, Cacao, Camellia oil, Coconut Oil, Geranium, Hyaluronic Acid, Kakadu Plum, Lavender, Macadamia Oil, Mandarin, Rose, Rosemary, Shea Butter, Sweet Orange, Vitamin E.
Step 1: After showering or bathing, place a generous amount of cream in your palm. Step 2: Rub your hands together to warm the product. 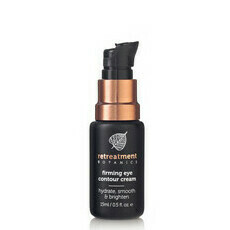 Step 3: Apply to legs, arms, hands or anywhere on your body that has dry skin. 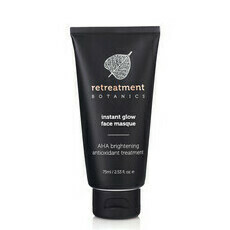 Repeat after washing hands to retain soft, supple skin. Tip: This nurturing hand and body cream is ideal to use after bathing by sealing essential moisture into your skin. After stepping out of the shower, wrap your body in a soft, clean towel and gently pat skin dry. When you are finished, begin to warm the cream by rubbing it between your hands for a moment. 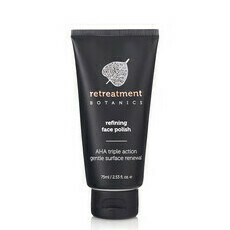 This extra step will make massaging this nutrient-rich body cream a comfortable and warming experience. As you smooth it all over your body, take a moment to pay gratitude to each body part, repaying each with tender loving care. What a lovely new range. Look forward to trying more.